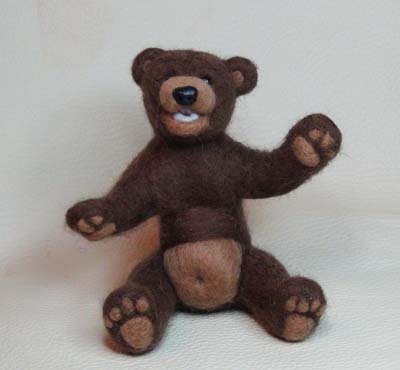 Once the core is built more wool is added and worked to build up the various muscle structures, face and body shapes that give him his final Teddy bear appearance. Materials Merino and English Wools. All the animals displayed on this website were designed and created for collectors. They include small parts and traditional components that are unsuitable for anyone under 14 years old.